I kept putting off taking the hit and buying a portable fridge. I had my eskie, and filling it to brim with ice kept the food and drinks cold for three days, plenty of time for a weekend camping and a fraction of the cost. But as my camping trips became longer and more remote. I finally took the hit and bought a 12V fridge. It wasn’t something I was particularly looking forward to. I saw it as a “needs must” kind of purchase and resented the high price tag. Here are the things I wish I had known before I bought one. I remember being paranoid on my first camping fridge with my portable fridge that it would drain my battery in a matter of minutes and leave me stranded without a hope in hell of getting home. My fears were totally unfounded. 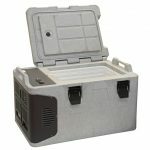 Most decent portable fridges use less than 100 watts and don’t run continuously. To put this in perspective, most 12V fridges will run for around 60 hours on the output your engine battery gives them because they aren’t constantly drawing power, just maintaining a cold temperature. 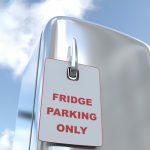 Some fridge models actually turn themselves off when they sense the battery is drawing low, so you will never end up stranded without enough juice to start the engine. The connection fits into a car cigarette lighter, but it also came with a cord which allowed it to plug into a socket at home. 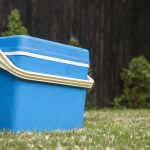 This has been a great addition to barbeques out in the back garden for storing salads, beer and soft-drinks, or keep it next to the sofa for the big rugby matches so you don’t have to get up and go to the kitchen. The temperature setting can be turned so low these things could keep a bag of ice frozen. If you want both a fridge and a freezer on your camping trip, bring an eskie and some ice in the fridge with the temperature set cold enough to keep it solid, and you can top the eskie up with the ice. This is great for taking ice-cream on camp trips for the kids. 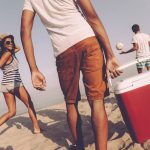 From digital temperature settings to LEDs inside to illuminate the inside, the newer fridges have a whole host of additional features that make your portable fridge as good as your kitchen fridge. The top brands in Australia have good local service support and come with generous warranties. If you buy a top brand they are reliable and really resilient. You can feel the difference when you lug it out the car. 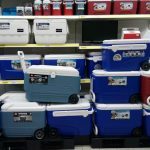 They feel like they are built to last and a good portable fridge could last you more than 15 years. I have been really impressed with the fridge’s portability, convenience and durability. We don’t just use it for camping, it is a regular feature at barbeques and picnics and it almost always draws a couple of questions from people looking to get something similar. I can safely say, I won’t be going back to an eskie anytime soon. 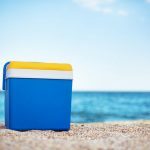 Is there anything you can add to this article, do you have a portable fridge? Is there anything you would like to share? Share your thoughts through the comments section below.